Then you put in a request at your local library for my book, and I put in a request at mine for your book. YOU can make a difference. Thanks to requests submitted by Katherine Lampe and Karen Kraft, my debut historical fantasy, ZERO TIME, is now available at libraries in Colorado and Arkansas. Much appreciated! Don't be shy-- contact your library about a book (or several) you'd like to see available! Small press and self-published authors struggle to get their books into libraries. The reasons are many, from the sheer number of books currently on the market to the obstacles libraries face in adding new vendors, even ones like Amazon. It falls to writers to make their work easier for libraries to access, such as obtaining patron recommendations (see above) and getting their books listed on Ingram, Overdrive or other traditional library sources. 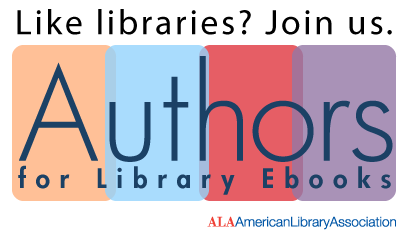 "The ALA has launched a program called Authors for Library E-books, through which authors like me (and you) can sign onto a call to their publishers to give libraries fair and equitable access to e-books. If you’re interested in signing up, you can find the campaign at http://www.ala.org/transforminglibraries/a4le." 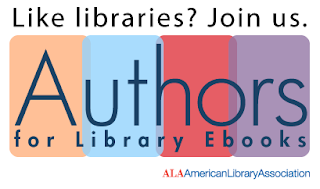 Sign on to the Authors Stand with Libraries statement. Help raise awareness of this issue with publishers, other authors and the general public.